Its been over three weeks now that I had been in China, starting in Beijing, ending up with amazing experiences throughout the journey. Saturday morning we presented to the class about our findings and experiences with our clients, and listened eagerly to the same from other members in our cohort. Notably, we heard of the challenges some of the other teams had around access to information, access to people, or just plain old social faux-pas. There is something to be said about learning from the experiences of others. 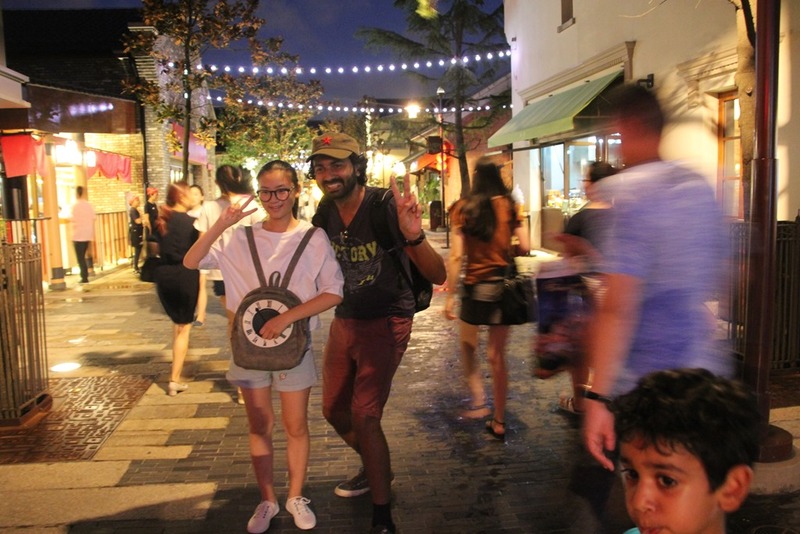 Friday evening, we headed down to TianZiFang, which is an arts and craft area of the French concession. It was apparent that the place had staved off aggressive redevelopment, and retained much of its original characteristics. To my surprise, one of the pubs there had mini flags from many countries from around the world, including my birthplace, Mauritius. As my last day was approaching, I was eager for some good old street food, so it was with delight that I saw a local street vendor making grilled calamari and octopus. I could not resist, and bought enough to also share with my friends. As I start preparing my luggage to head back to Sydney, I contemplated at how much my perspective had changed in this one trip. I would never have considered working in China. 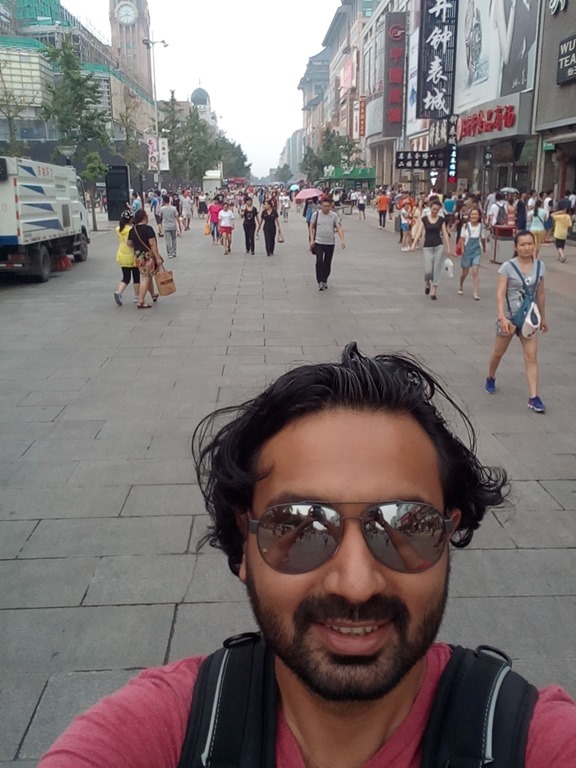 Having experienced what I experienced today, understanding a bit more around the local culture and the way the Chinese do businesses, I can see myself enjoying China. And the people are amazing. Peculiar in many ways, but still amazing. If I could do one thing differently, I would learn Mandarin before coming to China. It is not absolutely necessary, but, as David Gosset puts it, it is an incredible advantage. 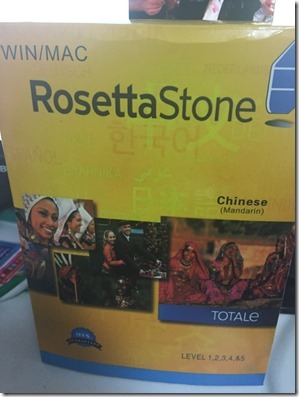 In that spirit, I bought myself a copy of RosettaStone Chinese (Mandarin), so I can learn mandarin, and enjoy the Chinese culture more by being able to communicate more effectively. The two days following our client visit, we focussed ourselves on brainstorming strategies that would give our clients the biggest chance of success. We divvied up the work and played to everyone’s strengths. Suddenly all hell broke loose. 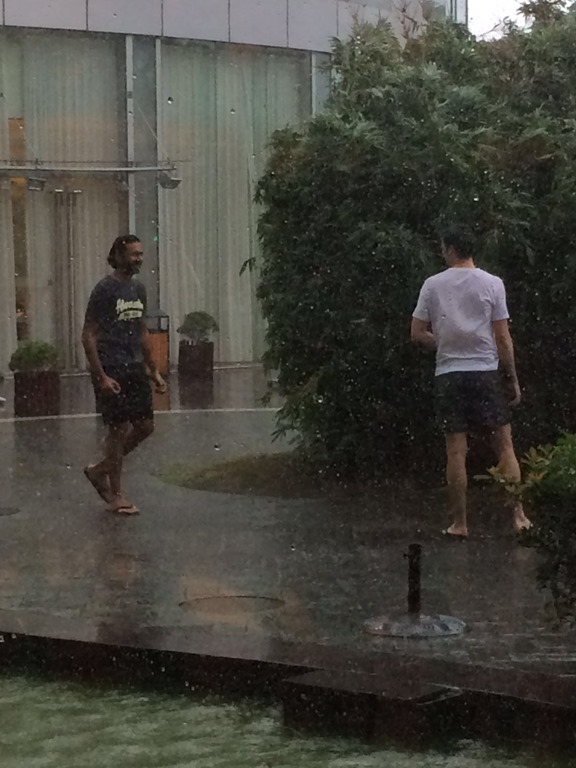 A torrential rain like we have not seen started pouring, accompanied with a deafening thunder. Not missing a beat, Dom and I went outside to enjoy the storm. It was an absolutely beautiful experience. Cold water from the rain heated up immediately as it hits the warm ground. I laid down on the floor, water rushing everywhere. I closed my eyes and enjoyed the moment. When I got back up, I realised that a bunch of tourists as well as hotel workers and other onlookers had gathered and taking photos an videos of our shenanigans. Funnily enough, as we went back into the hotel, we asked for towels. They promptly came with raincoats instead. Dom and I just looked at each other in disbelief. Certainly, if we needed raincoat, we would have grabbed them before going in the rain, but that would have defeated the purpose. It was evident that such bold and impulsive behaviour on our part was a complete unexplainable mystery to the local onlookers and hotel staff! Connections and relationships. 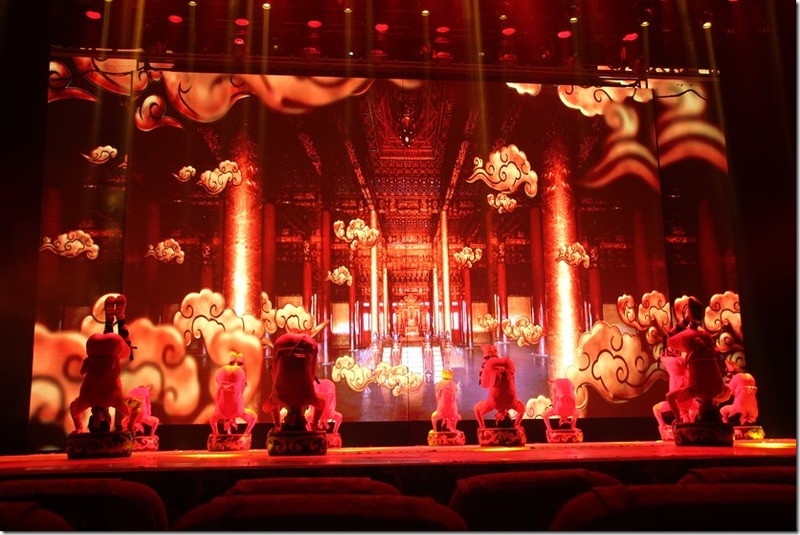 In the Chinese culture, when two business parties have Quanxi, the connections and relationships allows both to flourish as the two parties behave as close friends and help each other. Trade secrets are exchanged and support is provided. 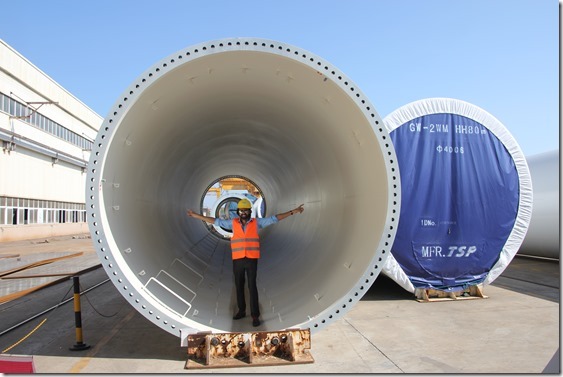 Our client (name withheld, due to confidentiality) is one of the top two wind tower manufacturers in China, with a global presence. They are looking at my team for a market entry strategy into Australia. 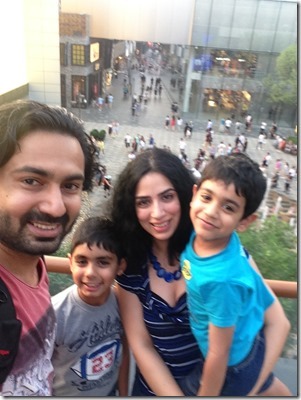 Our key contact is the CFO, with whom we have had two previous face to face meetings, and exchanges by email. As a team of foreign consultants, we had a delicate role to play. We bring to the table international and especially Australian experience, but needed to tread delicately on cultural issues we might face. As the day progressed, we met with the CEO and Director of Sales. I demonstrated that I understood the heart of the problem by citing the case number and the intricate details of a previous Australian Commission ruling against the company. That alone made our client see us in a new light. We were not a bunch of students that needed to be hand-held. We came prepared and understood the heart of the problem. Not missing a beat, our other team member (Dom) pulled out his laptop and showed his detailed excel model that compiled all of the windfarms in Australia, in operation, under development, or planned for future development, with details around operators, partners, etc. So not only we came with understanding of the problem, but we also came with market intelligence. We offered them a copy of the excel file. 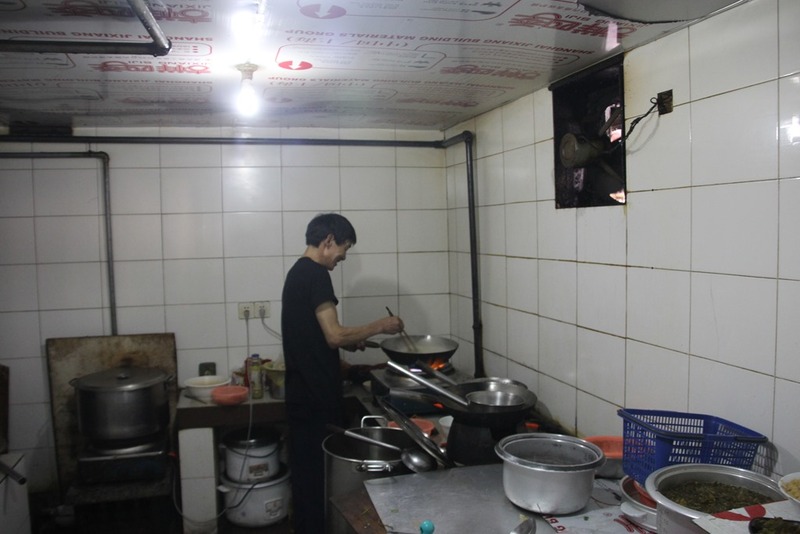 Understanding their position, and offering help, I believe, built a tremendous amount of Quanxi that day. Trade secret information was readily shared with us, behind closed doors. Key partners and vendors, current and future contract details, as well as workaround for legislative constraints were shared. We also had the opportunity to visit their manufacturing plant first hand. After the visit, the CFO and the VP took the team out for lunch. 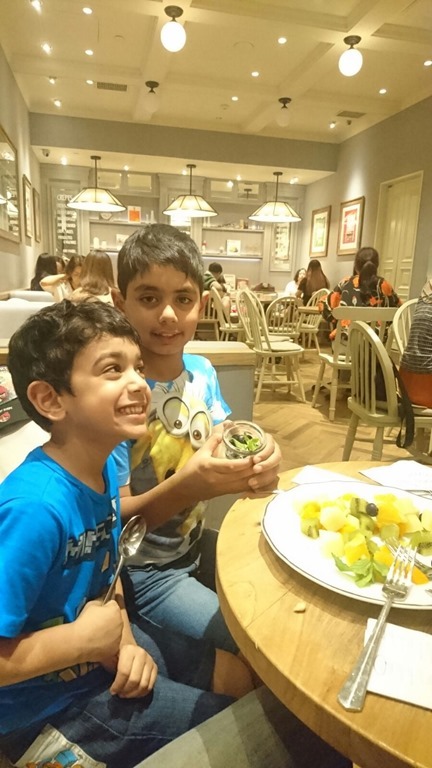 While we said we would love to experience the food court food that they would normally eat, they reminded us that as guests visiting them for the first time, it was their responsibility to host us to the best meal that they could provide. And so we headed down by car to the next village, by the beach, where we sat down and enjoyed a sumptuous seafood lunch with all sorts of dishes on the table. On the second day of the visit, we dressed a lot more casually than the first day, as we were invited to wear more comfortable shorts and t-shirts to cope with the heat and humidity. 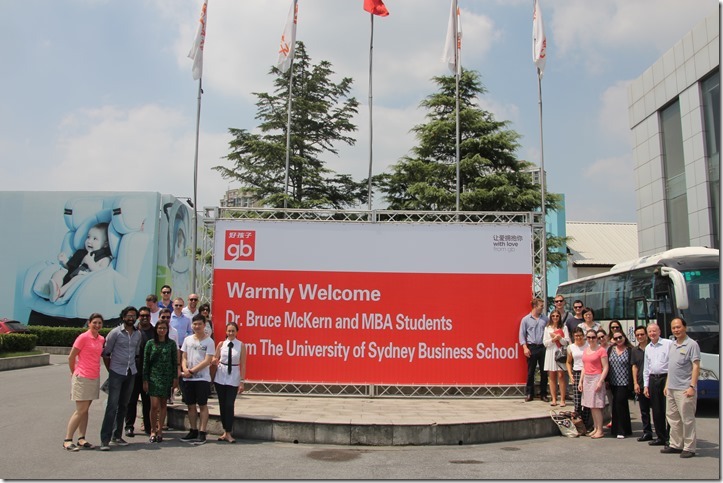 This day, we were accompanied by Prof Bruce McKern, to build the relationship with the University. This was a remarkable interaction for me to observe. As the senior person in the room, he was treated with all the respect he deserved. The CEO and VP came to meet with him, and offered him site visits, etc. and made him feel welcome. However, he did not have Quanxi. Real discussions with the team that contained deep details only resumed after he left the premises and headed back to Shanghai. After all our meetings were concluded, we headed down to the beachside for a well-earned break while the CFO can get back to his office and complete his job for the day. 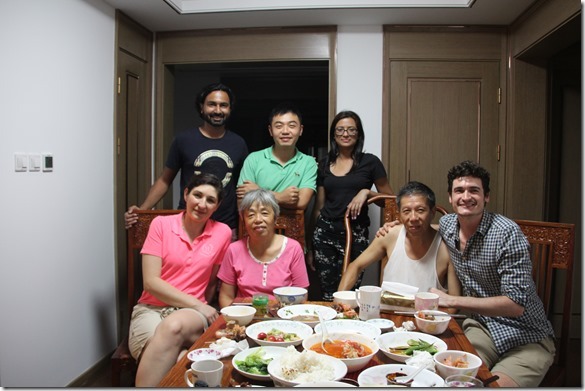 In the evening, we were invited by our CFO for dinner at his place, where his mum cooked us dinner. I was initially apprehensive as I was going to his place in shorts and t-shirts. The apprehension was quickly put aside when his dad greeted us in his boxer shorts and singlet! We felt very much welcomed and at home. During dinner, as I was eating mostly the vegetarian and seafood options, his mum took notice, and quickly jumped into the kitchen to make more vegetarian food, so that I had enough to eat! They told us that it was the first time they received foreigners in their home, and we felt touched by the length to which they went to make us feel welcome! Today marks the day where go on our company visits. The first visit is a company called Goodbaby. The main emphasis that I took away from Goodbaby is the way they fight for their survival in a world where imitation is king. 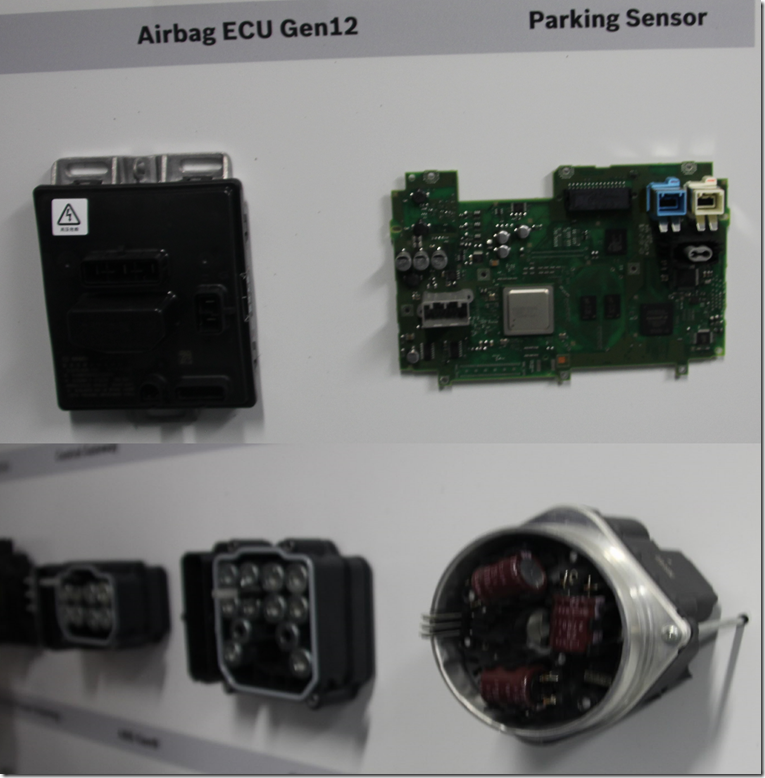 They have stayed in the #1 spot in China by continuously innovating both in their product line, as well as investment in designing and producing on site their own electronics and printed circuitry and programming of their components. The company itself was founded on innovation. 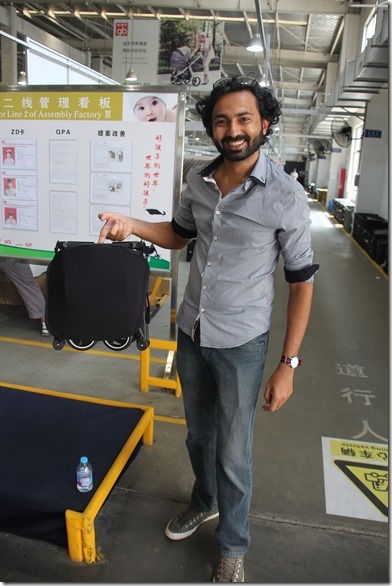 Their first product was a multi-purpose pram that could be converted to a stroller and a baby walker. You can still feel today that the heart and driving force of the organisation is its strong emphasis on innovation and building differentiating products, from strollers, to ride-ons as well as. It was also touching to see at how great lengths they went to make us feel welcome – from the huge banner in front as we entered to ensuring that my personal dietary requirements were met. Bosch is in a different position than Goodbaby in China. 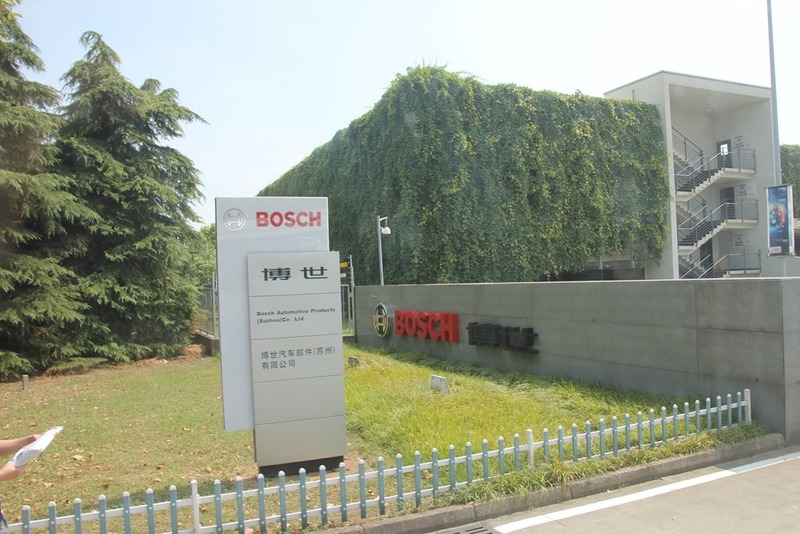 Unlike Goodbaby who does true innovation, at Bosch, they receive design plans from the parent company in Germany for productions and adaptation. The BU we visited focussed on building electronic boards for cars, such as power window actuators, parking sensors, airbag control, etc. They also do customisation on the base design to fit the different chassis the parts will be fitted into, and to some extent, can be considered a re-engineering of the part in question. Despite that, you can feel that they hunger for true innovation. It was clear that they see their current engineering and re-engineering work as proving grounds to the German team that the Chinese team are capable to produce work and designs at the quality expected from the main office in Germany, and therefore can be trusted as a true source of innovation incubation for the future. We concluded the day with a team dinner, and celebrating Marty and Ben’s birthday! As we had all adopted WeChat as the primary means of communications, groups started to emerge around what to do on our free day in Shanghai. 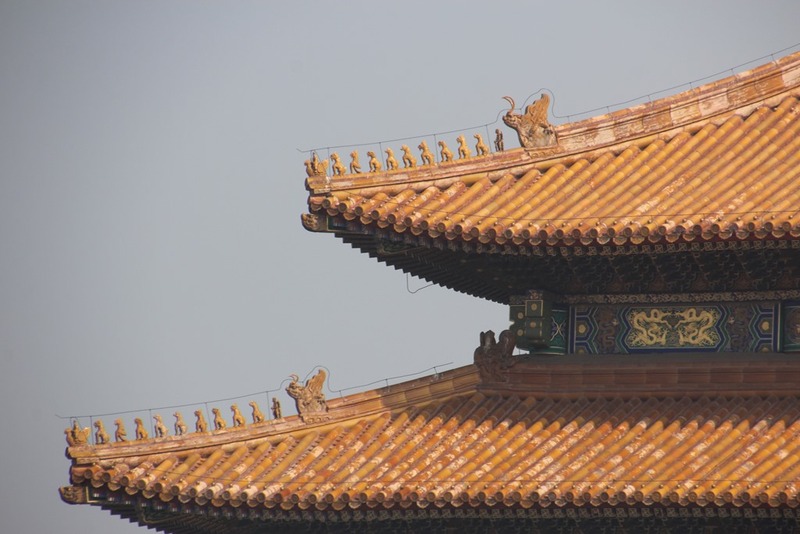 I had been tossing the idea of flying to Xi’An for a day trip to see the terracotta warriors. 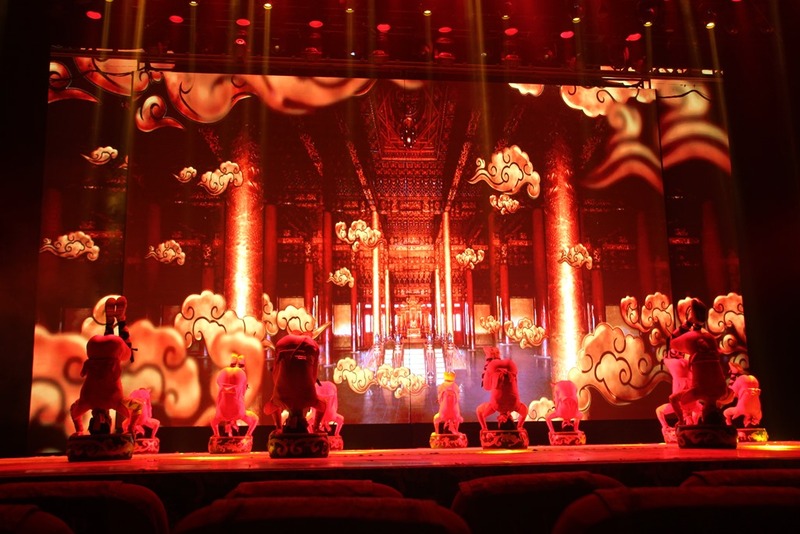 What better way to immerse myself in the Chinese culture and explore its rich history. Quick look for flights, it seemed almost doable, until I was reminded that Chinese airlines are often delayed or cancelled altogether, and would jeopardise my ability to participate in company visits the next day should I be unable to make it back in time. 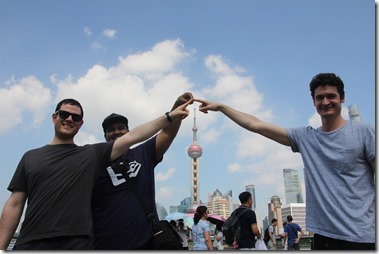 And also, Shanghai still had a lot to offer. With Dom, Rob and Satwick, we headed out to Jingan temple. 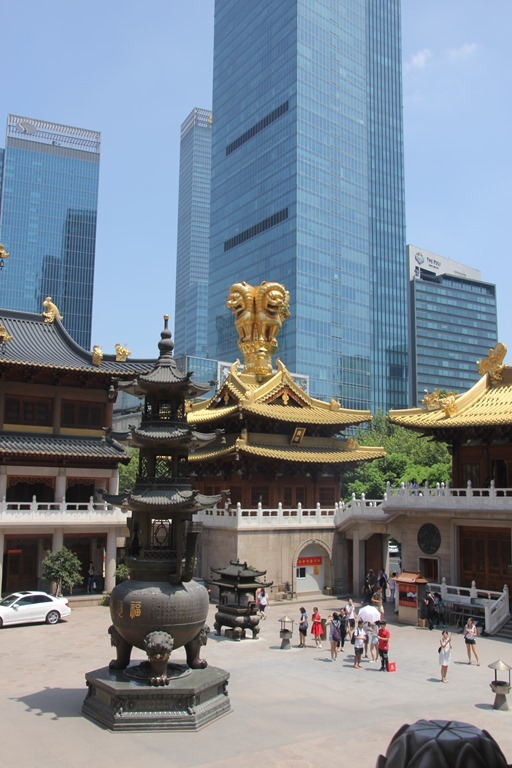 Jing’an temple is a bona fide classic Buddhist temple set in the middle of a modern Shanghai, that it might easily look out of time. Its name stands for “Peace and Tranquillity”. The main attraction is the 3.8m jade Buddha that sits in the Buddha hall, and is the largest sitting jade Buddha in the country. At the temple, we witnessed religious ceremonies as well as well wishers throwing coins in the huge copper receptacle, for good luck. 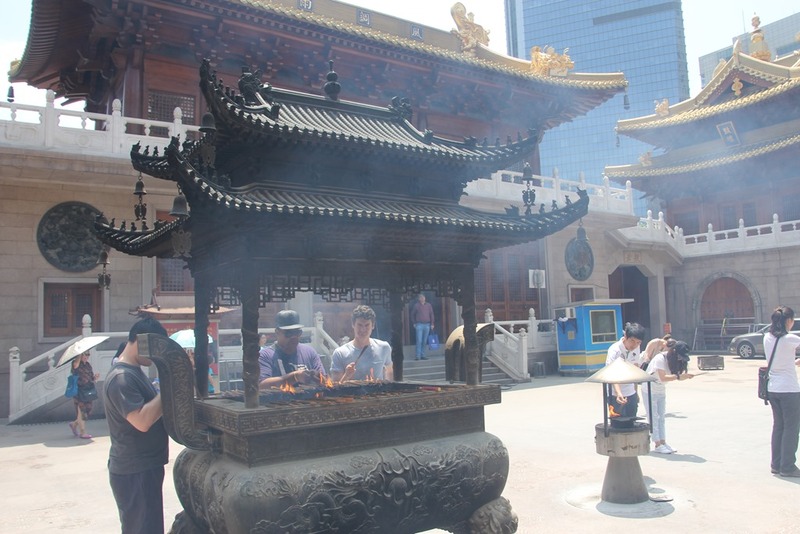 To immense ourselves in the local culture, we also participated in the activities as well as lighting incense sticks for good luck and protection. Next stop, the marriage market. It sounds worse than it actually is. It is located in People’s park, and parents flock to the area to trade information on their unmarried children. The notes describe, age, qualifications, height, assets, income, and some even bust and waist size. 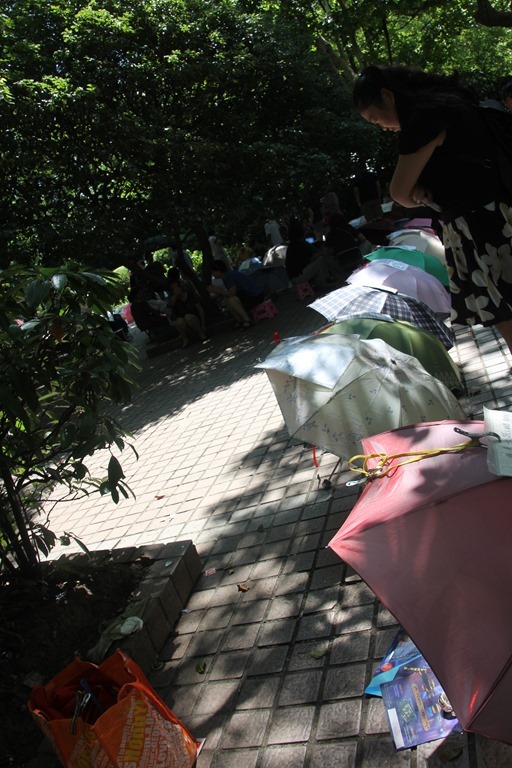 The umbrellas are a way for the parents to “mark their spot” in the park. In the Chinese culture there is a pressure on young people to get married, especially as you get closer to 30. The marriage market is where the parents go to look for love for their children, and you see hundreds of umbrellas and paper flyers around. If the parents finds a potential match for their children, phone numbers are exchanged. An innovative solution for an age-old “problem” in China. After a stroll down Nanjing road, we ended up at the Bund for a photo op. By this time, it was well and truly past lunch time, and we still had last night’s noodles on our mind. 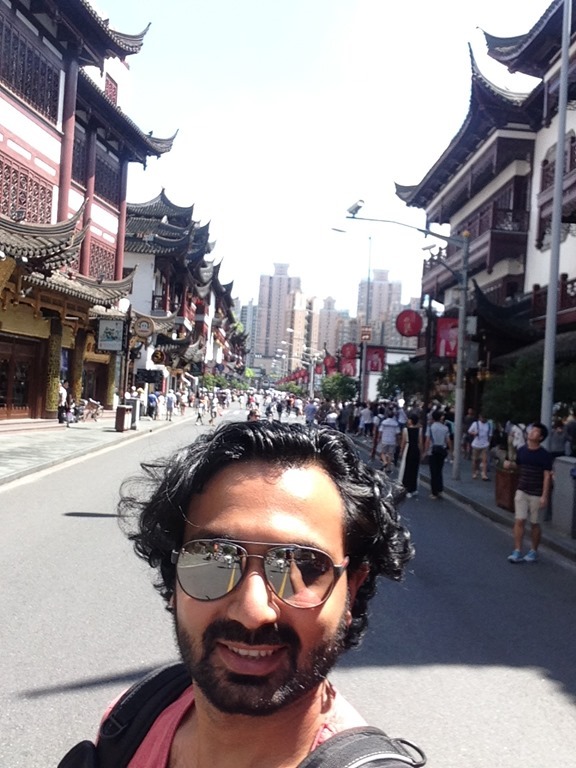 Feeling adventurous, we walked around the back streets of Shanghai, looking for the next great noodle place. We did find one, but again, language emerged as a problem. They spoke no English, the menus were in Mandarin, Google Translate did not work and we were bent on eating there. 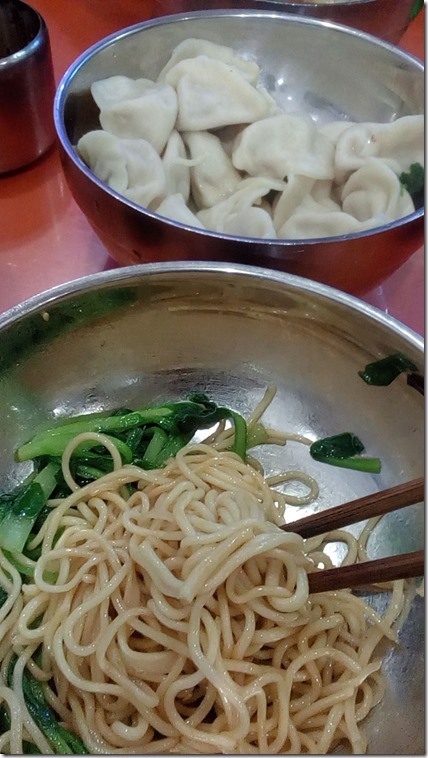 Without a moment’s hesitation, I hopped into the kitchen, pointed at the various ingredients (noodles, vegies, tofu, etc. 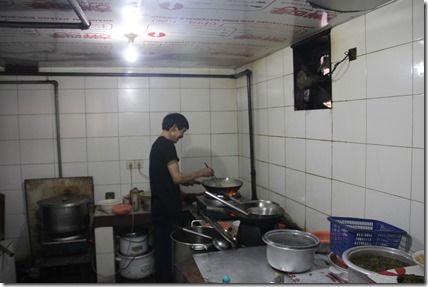 ), and the owner happily started to prepare me my custom meal! After a very satisfying lunch, we decided it was time to sit back, relax and watch the sun set over Shanghai. 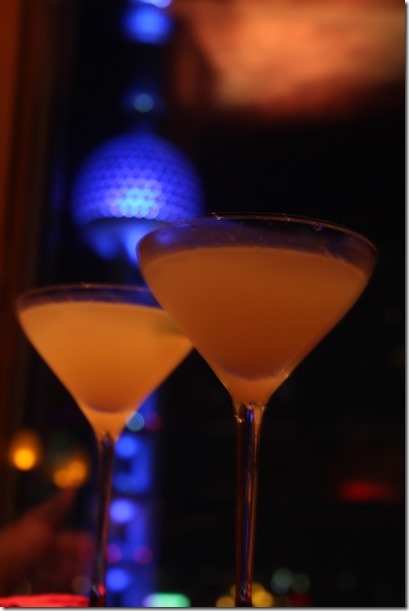 A quick subway trip across the river, up to the 36th floor of the Shangri La, we sat back, enjoyed a few good mocktails and other drinks as we watched an amazing sunset and the city turning on its neon light, to welcome the night. As if to challenge our luck, when we caught the subway back to our hotel, we stopped by a local restaurant. You picked your own ingredients from a shelf into a bowl, they weighed it and the chef cooked a sort of Lakhsa with it, with loads of Schezuan pepper. If you have never had Schezuan pepper, let me tell you – it numbs your tongue and lips almost like an anaesthetic, inviting you to eat more as you cannot taste how hot it is. After two full days of lectures, it was time to wind down. With a few friends(Dom, Satwick, Rob and Karl), we headed down to XinTianDi, in the French Concession area. After a scan of the area, we decided that instead of having western food, we wanted to eat something really local and authentic. Easier said than done. We approached a local security guard and asked for a noodle shop, but the guys spoke no English. I quickly improvised and mimicked eating noodles with my left hand as a bowl, and my right hand fingers as chopsticks. It seemed to have done the trick. Take the next right, walk down two blocks and take the next left. The main street lights got dimmer and less touristic as we entered an area that was truly local. A few steps down the road we found the noodle shop. Menu in Chinese, owners spoke no English. The general cleanliness of the place left a lot to be desired. We were almost sure we would catch Gastro. So we sat down for dinner. 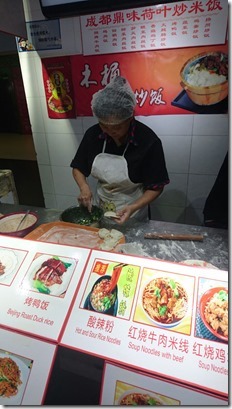 After all, we saw the guy at work, making fresh noodles on the spot, and we knew we wanted it! Following the awesome dinner, we headed out looking for a place to chill with a cold drink. 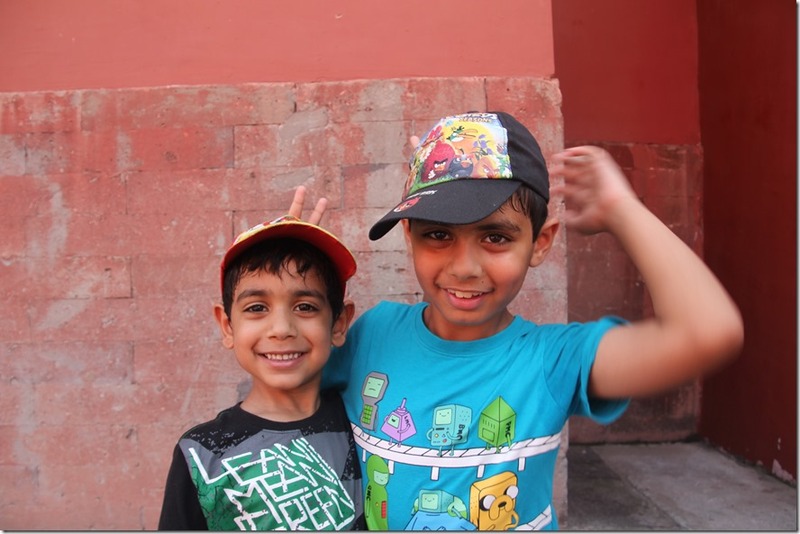 And so we started wandering around in neighbourhood we did not know, hoping to stumble on something good. After a solid 30 mins walk, lo and behold, out of all places, we find an Australian pub, run by a bona fide Australian from Brisbane. 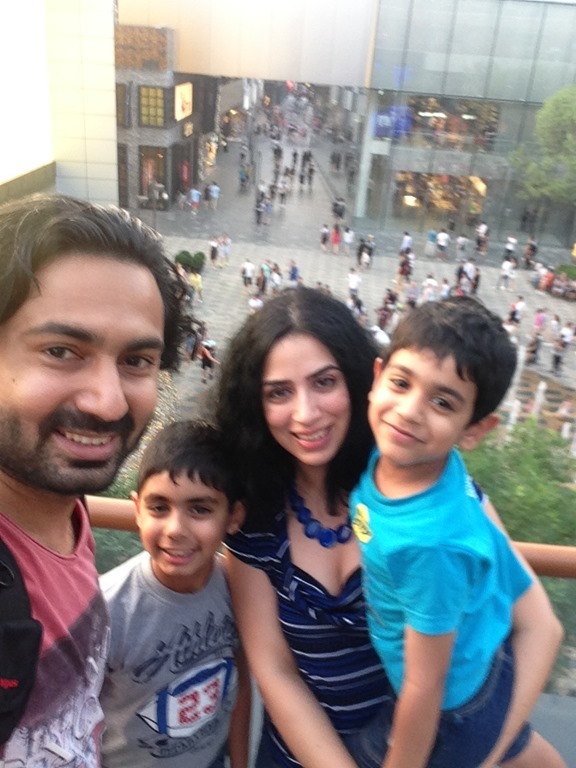 As we conversed with him, we found out that while he was from Brisbane, his wife is from Canada, with a Chinese background, and they met in Tokyo and their son was born in Shanghai. 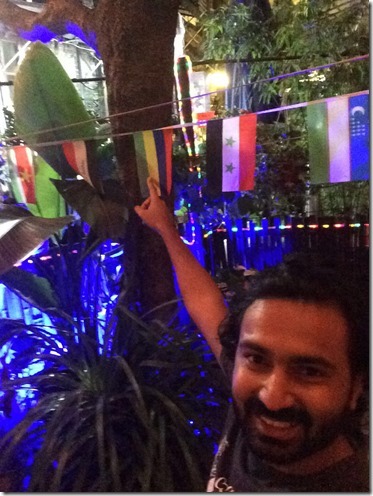 It was fascinating to find such a broad international mix in such a place. My biggest disappointment with the couple was that at 11pm, their 5yr old daughter was still out and playing in the pub where people were drinking and smoking, and some girls are lifting their tops while their friends are taking photos. As a parent myself, I wondered about the choices they made for their kids. On the recommendation of the pub owner, we caught a cab to another pub. Now that place was Dodgy with a capital D. There were Chinese triad members outside the pub, knives in their hip belts. A guy knocked down unconscious on the steps just outside the pub. A bunch of working girls entering and leaving the pub. Common sense dictated that we find somewhere else to go. After all, I had grown to be quite attached to my kidneys and other organs, and really wanted to keep them! First day of lecture, we had the outstanding opportunity to attend a lecture by David Gosset. The key take away for me was his emphasis on the Chinese Re-Emergence. This would shape my views for the rest of my trip. He posited that, compared to other third world country that are currently emerging, the Chinese saw themselves as coming back to their rightful place of power. This is a completely different mindset from a country who is trying to establish themselves to a country who is reclaiming its prime spot. This mindset and attitudes permeates though the Chinese culture deeply. On a personal note, it was invigorating to have a good conversation with David in French (due to my Mauritian background, I am fluent in French) and we exchanged views and opinions around the next big market in the world. We also had the opportunity to listed to Dr Bruce McKern who discussed at great length about the innovations that are happening in China, and how China is moving from imitation to true innovation. I found it ironic how a country that flourished from imitation and complete and utter disregard to copyright, and is now contemplating it as a true problem to solve as it begins its journey towards creating Intellectual Property itself. We also discussed what it means to be “fit for China”, which is something I deciced then that I would take with me when I visited my client in the next few days. 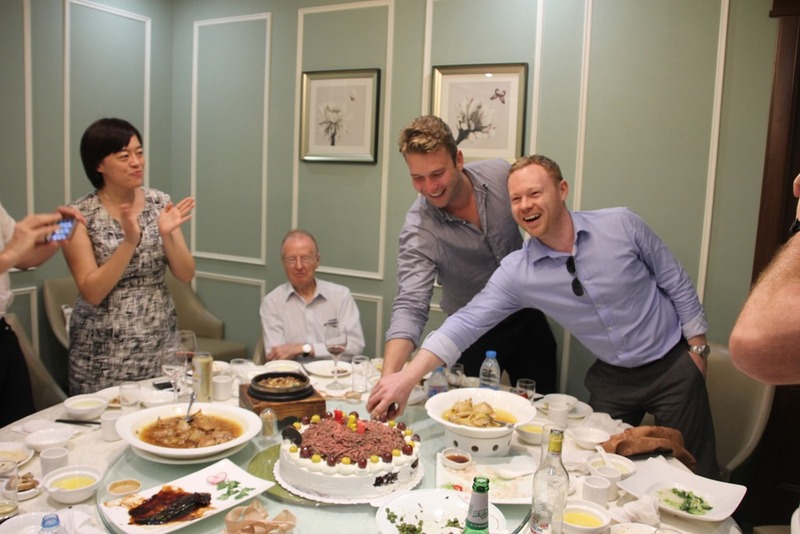 On the next day, Peter Arkell gave us a perspective on what it was like for him to conduct business in China. 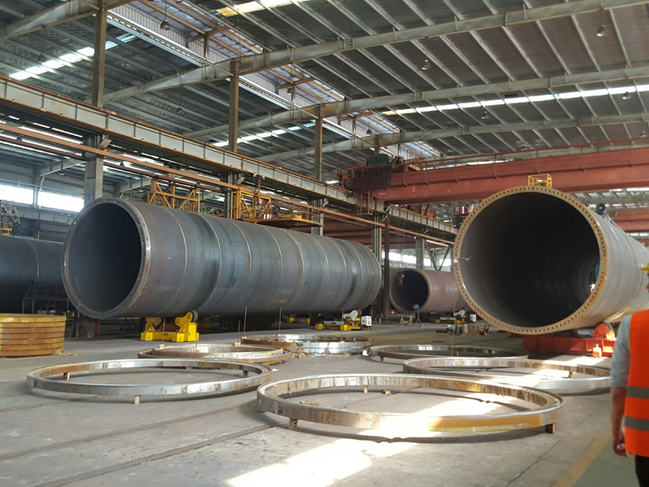 It became clear that China operates on a different set of assumptions than the west, and it would spell disaster either for a Chinese company going global or a global company entering China if those differences in assumptions are not understood. And finally, we also had a lecture by a Fudan University Lecturer, a Chinese himself on the international relations and geopolitics of China. He did not mince his words. He was speaking to a crowd of future business leaders of Australia (that’s us) and he had a message to get across. He challenged our views around democracy vs communism, and drew parallels with Iraq, and discussed whether a 20-yr communist government was better able to plan long term than a 4 year democratic government that is planning for the next election. He was not against democracy, but more so, made the point that China was a different country that operated on different rules. Therefore, while communism may not work in the west, it was, according to him, what China needed and what has helped China get from where it was to where it is now. It was hard to argue this point. While I may not agree with everything he said, I kept an open mind and welcomed the differing views that challenged my own ways of thinking and preconceptions. 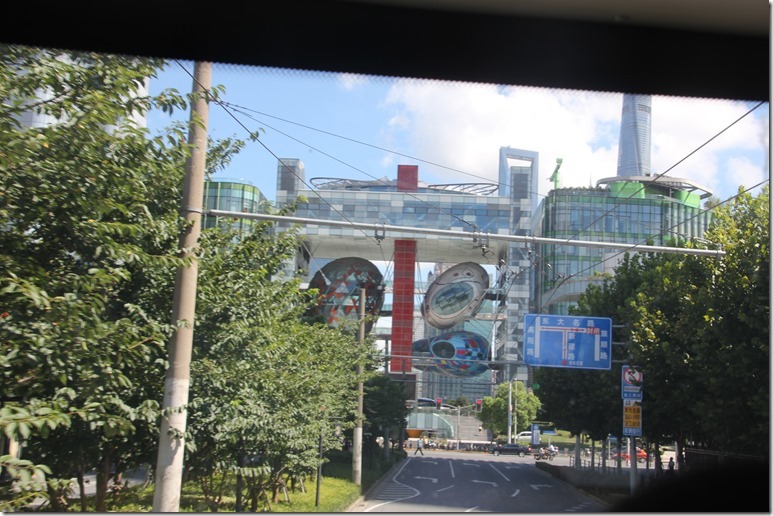 Excited to head to the newly opened Disney Land in Shanghai, we caught the cab from our hotel on a fine Tuesday morning. We figured mid-week would be a good time to go, to escape the crowd we had heard so much about. 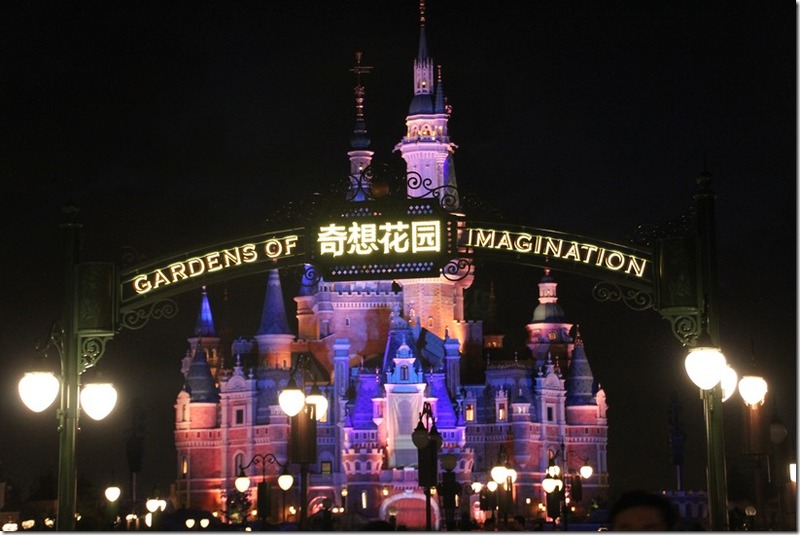 We met our first challenge when we got the cab – the cabbie had no idea what a “Disney land” was. Our futile attempt to explain it did not help. Eventually I got out, grabbed the hotel attendant for translation. Apparently, its called “Disney” not “Disney Land”, which is why the cabbie had no idea what I was talking about. Talk about getting lost in translation. After a ride of about an hour in the cab, we got to Disney (not land) around 10:30 am. It would seem that we had escaped the crowd as the queue was fairly small for us to get tickets to enter the theme park. The size of the theme park was gobsmacking. A quick search on Wikipedia revealed that the theme park was 4 km2. I had heard that it took 5 years to build, and I started to understand why. 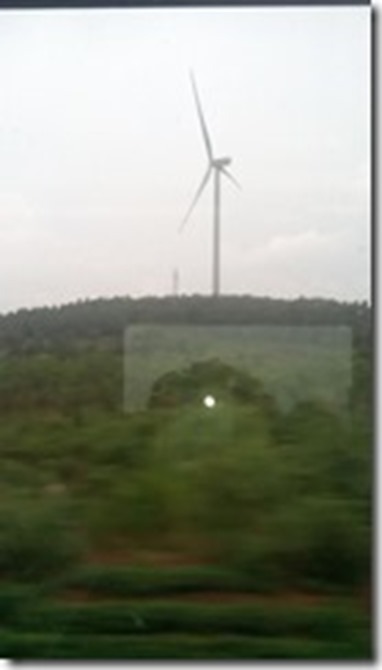 The consistent theme that I started to see in China is that they really made things big. And speaking of big, it was no surprise to us to find out really how big it was, and how many people visited it that day. To put this into perspective, to catch a ride on the merry go round, the wait time in the queue was 1 hour 20 min. That was the typical wait time for most of the rides in the theme park, and the worst one we saw was a wait time of 3hrs and 10 mins in the queue. Quite fortunately, there was an express pass that one could get, and come back at a specified time for the ride. The queue to get the express pass was one hour. Nonetheless, we went on to have quite a wonderful time. Before coming to China, I had heard of stories of rude Chinese people cutting queues and no sense of respect for others around them. I saw none of that. There were the occasional person who attempted to jump the queue, but readily brought back into line by a fellow local. It was also interesting to observe how the very much western theme park was adapted for the local market. 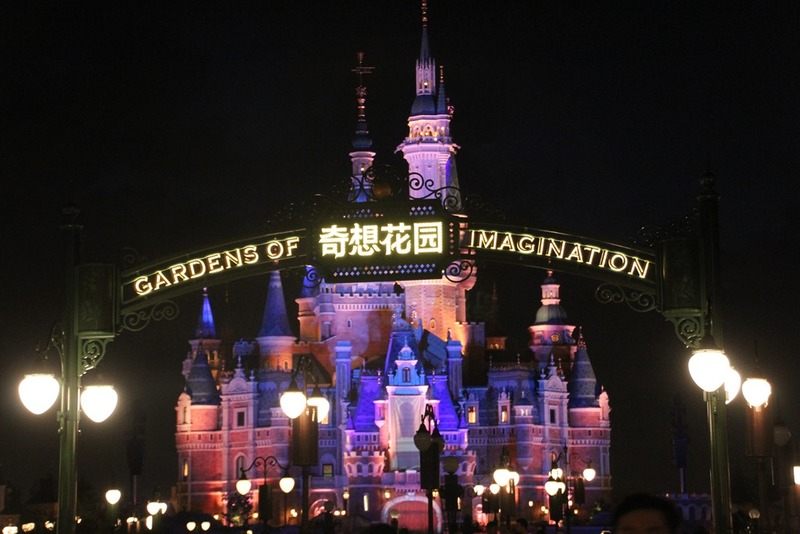 Chinese characters were prominently everywhere (such as Mulan). The food courts everywhere features a solid offering of Chinese food alongside western food options. 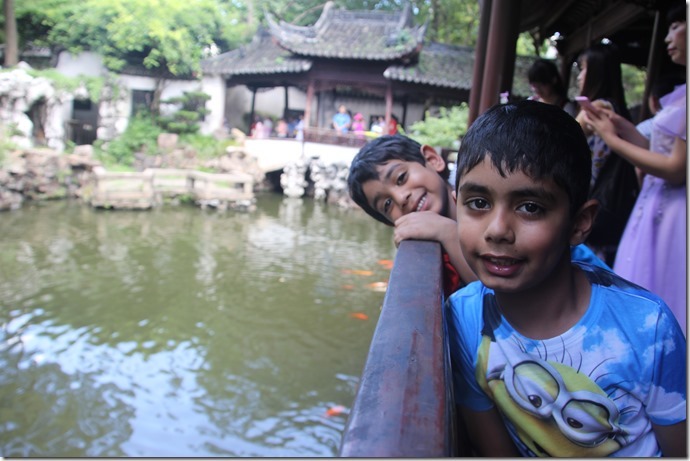 Yu Yuan Garden is arguably one of the most beautiful gardens that Shanghai has to offer. It derives its name from “Yu” which means Peace and Health in Chinese. The garden dates back to the Ming Dynasty and is over 400 years old. 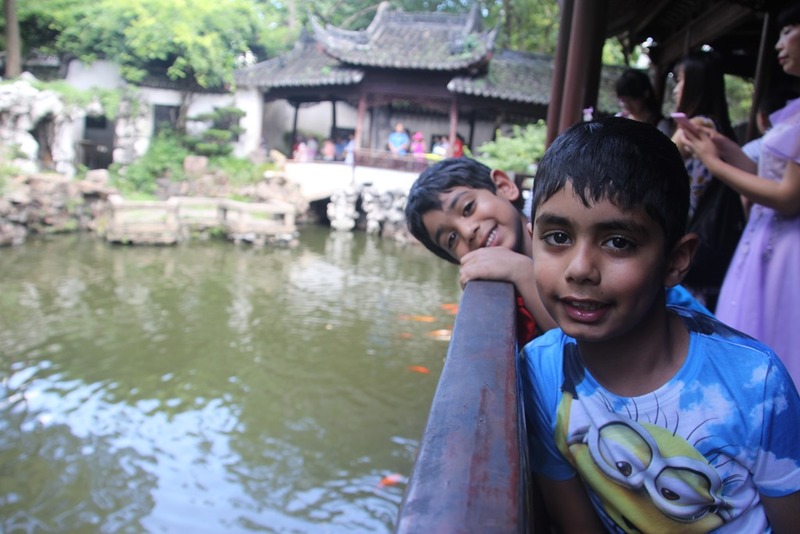 It offers a place of calm and serenity in busy Shanghai, with its calming carp ponds and authentic structures. But to me, what I noticed most was the people there. From locals to tourists, it felt like everyone’s busy life was left at the gate when they entered the garden. There was no noise and no rush. I felt a calming sensation as people leisurely took a stroll around the place, stopping by for photo opportunities or just to get a reprieve from the unforgiving humidity. The hustle and bustle that existed just outside the gates of the garden suddenly stopped to exist. After our leisurely stroll, we bought tickets and jumped on the red Hop On Hop Off bus for a ride around Shanghai. This was a great opportunity to see the new development areas for offices (Pudong New Area). It was a remarkable reminder that nothing is too big for China to undertake. We also went past the new cruise ship passenger terminal, which was, by all accounts, different. It featured modern design, with a futuristic look, with the impressive tall buildings behind it, across the river. 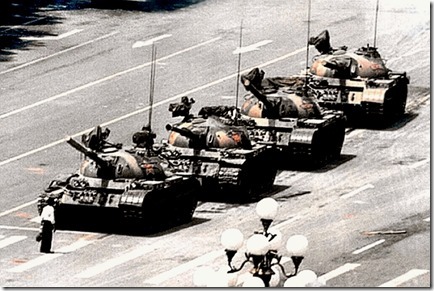 They served as a reminder that in China, anything was possible. 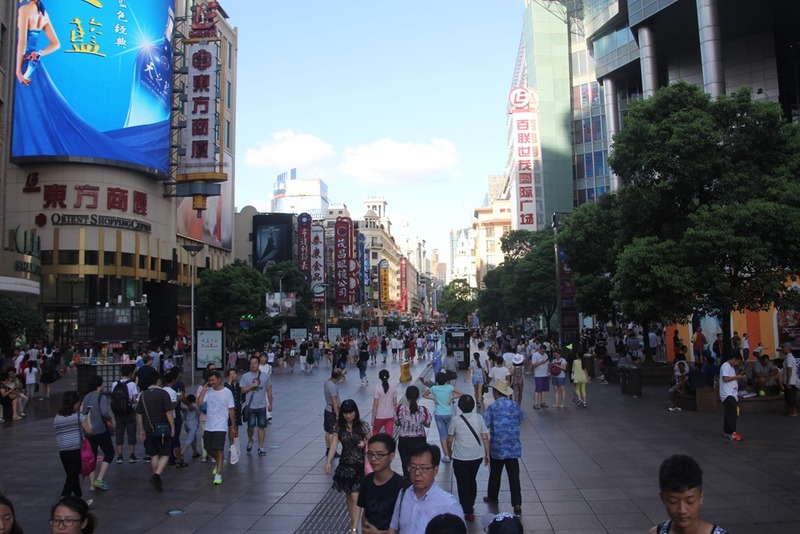 Eventually, the we hopped off the bus at the famous Nanjing Road. A few days ago, I thought that Wajinfung in Beijing was like Pitt Street on steriods (see http://www.moollan.net/blog/stealing-a-cab/). 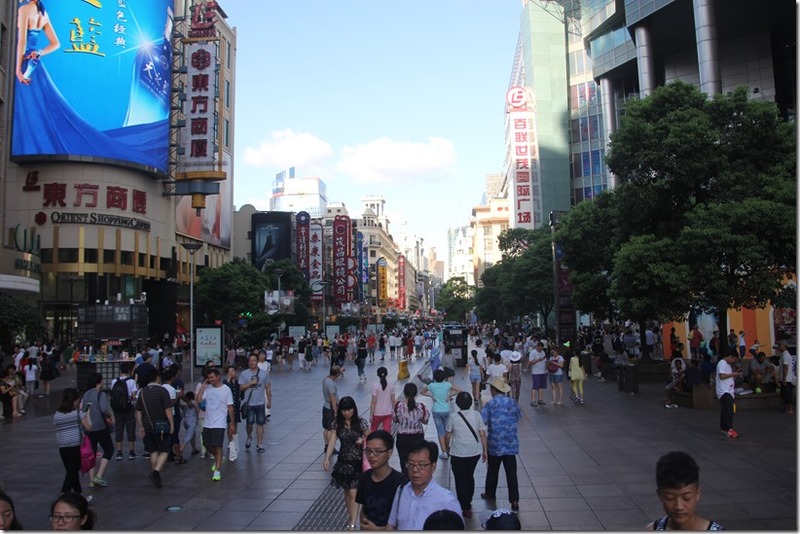 In comparison, Nanjing Road made Wajinfung look like a quiet street. This part of Nanjing Road is closed off to traffic, and at a leisurely stroll, it takes about an hour to go from one end to the other end of the pedestrian area, without stopping at any shops in between. It has its own little train system that would take you from one end to the other for 5 yuan ($1 AUD). Of course, we stopped at many of the shops and easily spent over 2 hours there. At dusk, we decided it was time to head to the bund and see it in all its glory, so we readily made our way to the next pickup stop for our Hop On Hop Off bus. And as it would turn out, we literally missed the bus by 1 min. We spoke to the bus representative at the bus stop, telling him that we want to catch the bus to go to the Bund. He said that the bus will be there in 10 mins, and to walk down a few metres and wait there. Odd. Why should we wait someplace other than the bus stop. But there was 10 mins to wait, and we could always go back to the bus stop, so we thought nothing of it and walked away. 15 mins later, we went back and asked about the bus. Supposedly, it was still 10 mins away. And sure enough, 10 mins later, the bus showed up. On we went, trying to board, and to our surprise, they stopped us. It was not our bus. Both parties started yelling at each other. I had a ticket that said I could get on any hop on bus, and an attendant that told me I could not. The bus driver casually got off the bus and showed us a sign that said it was a special line for the “night” bus. The argument could have easily been avoided if both parties were able to communicate clearly, but as it was, I did not speak Mandarin, and the bus attendant had limited English. I could tell he was getting frustrated as he was trying as hard as he could be to be helpful but we just could not understand what he was saying. And so we waited another 20 mins before the bus showed up. By that time, we had been waiting almost an hour for the bus. In hindsight, we should have just caught a cab, but not knowing how long the bus was going to be, and being repeatedly told it was only 10 mins away, we ended up spending almost an hour standing on the kerb waiting for it. To add insult to injury, our destination was only 5 mins drive away in traffic, so no more than 10 mins walk. Again, the communication barrier, it would seem, meant that the bus attendant did not understand where we were headed, otherwise he could have told us to just walk down the road. When we arrived at the Bund, it was all forgotten and forgiven. The sights that we took on was gobsmacking. I took this photo below with my trusty Canon EOS 60D DSLR set on full Manual. What a sight to end the evening on. First stop, Shanghai Bazaar. The Shanghai Bazaar looks strikingly out of place in modern Shanghai. 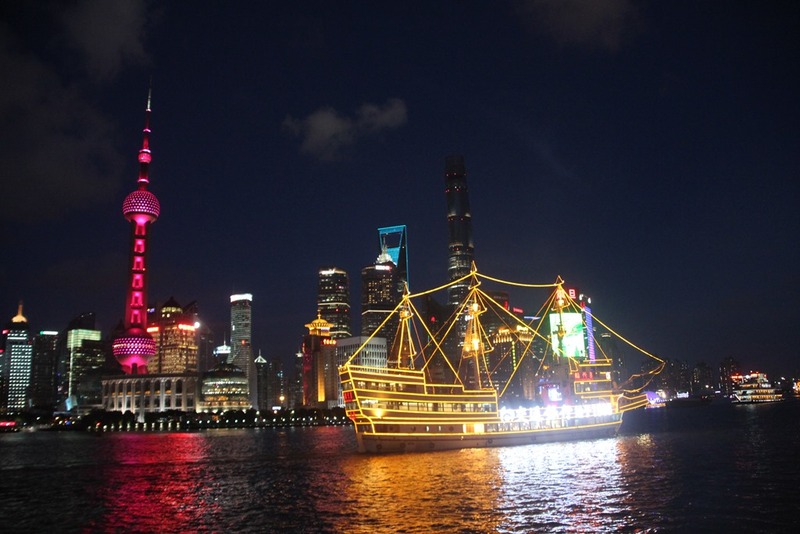 By all accounts, I would say that Shanghai is a modern metropolitan 21st century city. With tall sky scrapers and a complex and effective metro system, it was a stark contrast to Beijing. People were friendly and welcoming, and certainly, it was much easier to communicate. Most people I encountered had a certain level of English, or there was someone around who would gladly step in and help with the translation. 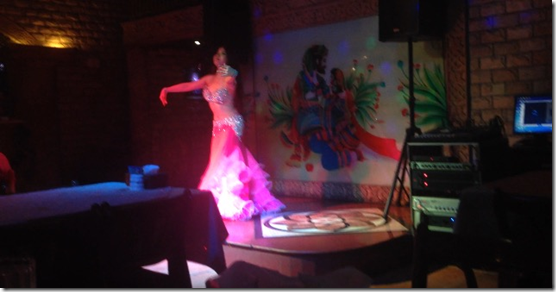 And yet, Shanghai still had a lot of surprises in store for me. That night, we went to XinTiandi. 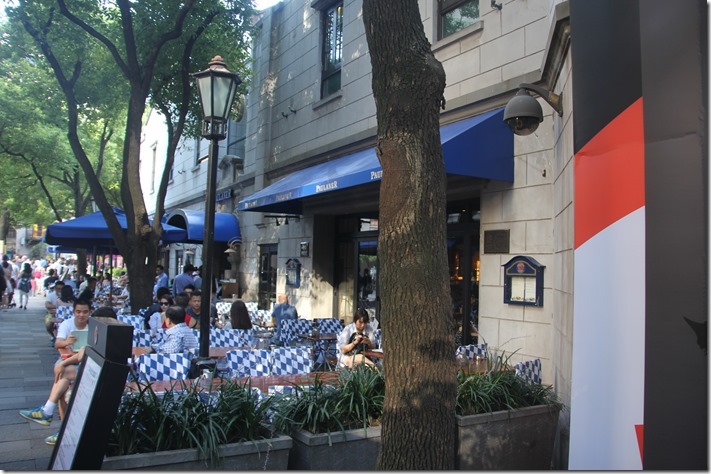 It is part of the original French Concession, and offers french-like cafes and an irresistible touristy appeal. 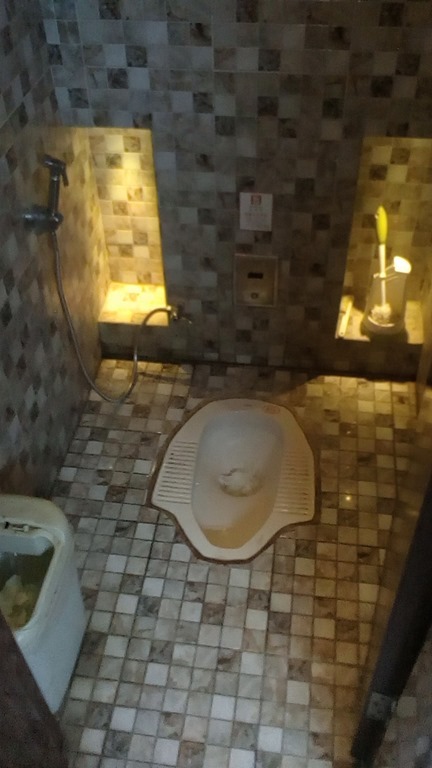 Certainly not what I would have expected to see in China. It was almost as if the whole place was out of time and space – from the looks to the people. For starters everyone spoke English, and even some bartenders and waiters were bona fide western expats. China continues to surprise me. So they do things big in China. Really big. It is a big country after all. It is with no surprise then that I learnt that in less than a decade, they built the largest network of high speed rail in the world, interconnecting the major cities, allowing for the free flow of business and tourists alike to discover and explore all of what China had to offer. It was with great excitement that I boarded the bullet train. 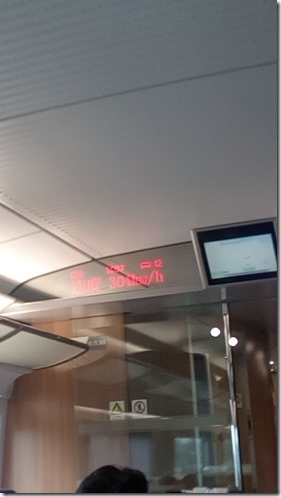 With a top speed of over 400km/h, we cruised at a more moderate, but still stunning 304 km/h. 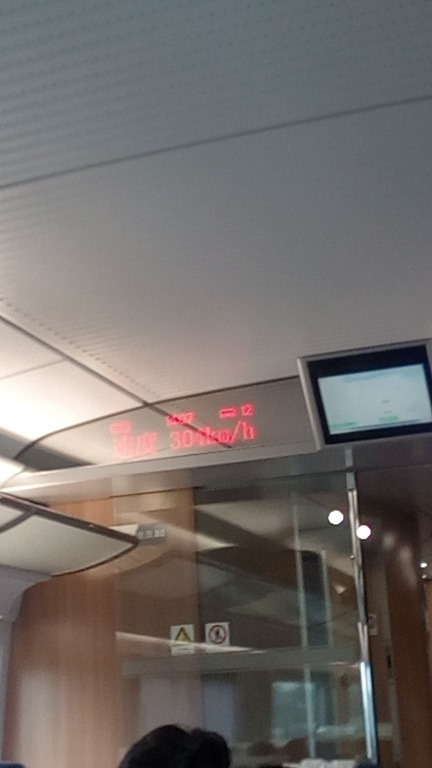 Although designed for it, the top speed of 400km/h is rarely achieved, mainly due to the shortcuts that was taken during the construction of the railways. As we sat down and started to enjoy our journey, the food service lady with the trolley came by, selling pre-packaged meals to the passengers. It was at this point that I realised how much I underestimated this trip. I had assumed, as a westerner would, that there would be a choice of meals offered that would appeal to the various customer segments. Boy I was wrong. The meal catered instead for the lowest common denominator. It was all pre-packaged Chinese food that looking nothing like the Chinese food I was accustomed to either in Australia, or even at the local places I have been to so far. I resigned myself to surviving the 5 hours trip, which spanned over lunchtime, on just the chippies that I brought with me. At least, I thought, I would sip on a nice cold soft drink, so I walked down to the bar, and to my dismay, there were no soft drinks on sale there either. Chinese people do not, generally, drink cold drinks. Warm tea, on the other hand, was readily available. Even the free water dispenser on the train dispensed hot water, but not cold water. At this point, I am reminded, yet again, how differently Chinese people think and operate, and how naïve I was to bring with me my western way of thinking and assuming things would work out. I made a mental note of that for my university project later on when I have to deal with clients. And as that thought occurred to me, I looked outside the window. 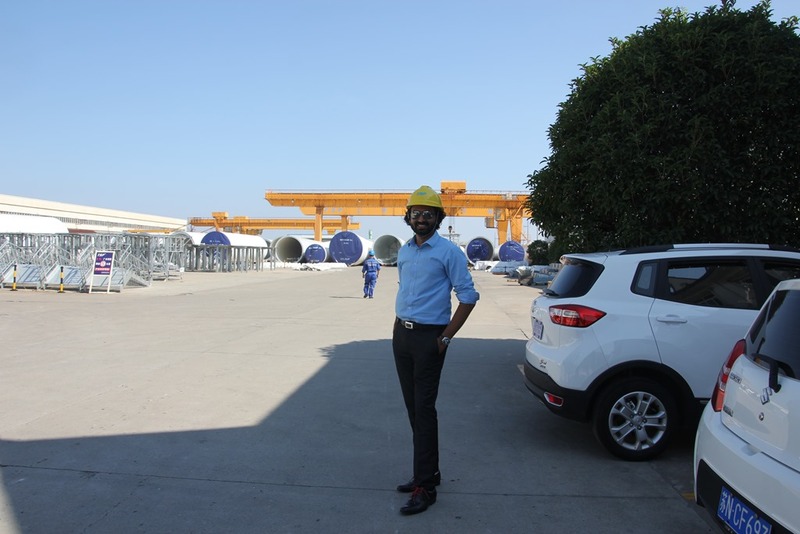 As if China was reading my mind, the scenery presented me with impressive wind towers spinning gracefully over the green landscape, as if, reminding me that soon enough, I will be working with the top wind tower manufacturer in all of China. For the past two days, we have been doing some much needed retail therapy. Wanfujing was like Pitt Street Sydney on steroids. Wanfujing road is completely pedestrian, with large malls interconnecting to make them seem even larger that it made Ya Show street market looks like a corner store. In the evening, getting a cab back to our hotel proved to be quite the challenge. 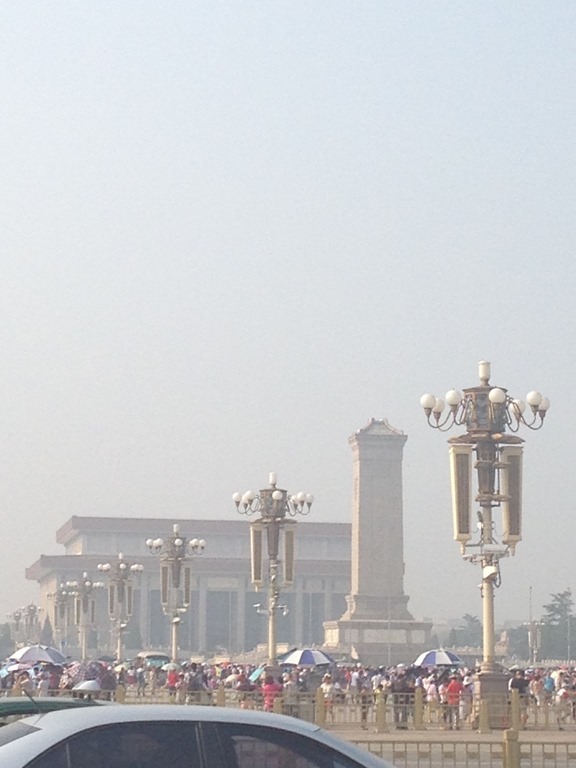 It was then that I could really feel that China, especially Beijing, has no need of foreigners. 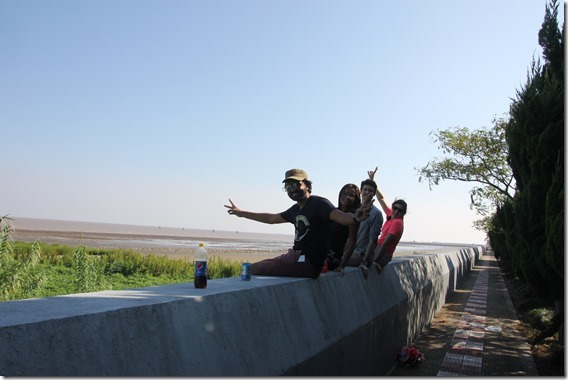 It was apparent along our journey so far that very few people spoke English. Catching a cab in the late evening (after 11pm) was another story. Cabbies flat out refused to pull over for foreigners. Not for us, and not for the white couple standing just a few metres down the road. The same cab would happily stop and pick up the locals. I wondered why that was the case. And it dawned on me that it was because they did not want to deal with English speaking customer when they did not speak the language themselves. Certainly, all foreigners had a card with their destination written down in Chinese, but reading that card would be that the taxi driver would need to find his glasses and try to read the small letterings on the card under the faint indoor lights that the car allowed. Why bother when the next customer was a local, and there were plenty of them around waiting for cabs too. It was time to act as a local. We waited for a cabbie to pull over for a Chinese couple, and quite literally forced our way into the cab when they opened the door. We just stole a cab from a young Chinese couple. The cabbie raised his voice, but when you don’t understand the language, you just smile and tell him your destination. Given up, he reluctantly drove up grumpily and dropped us at our hotel, only to smile when we gave him a generous tip, hoping that next time, he would stop for another foreigner in the hope of a generous tip. When I told this story to the chief concierge at our hotel, his brushed it off as “normal” and even smart for stealing that cab from the local couple. I think I’m slowly starting to understand the Chinese. To immense myself in the rich cultural history of China, today I visited the Forbidden Palace, Summer Palace and explored the diversity that China has to offer. 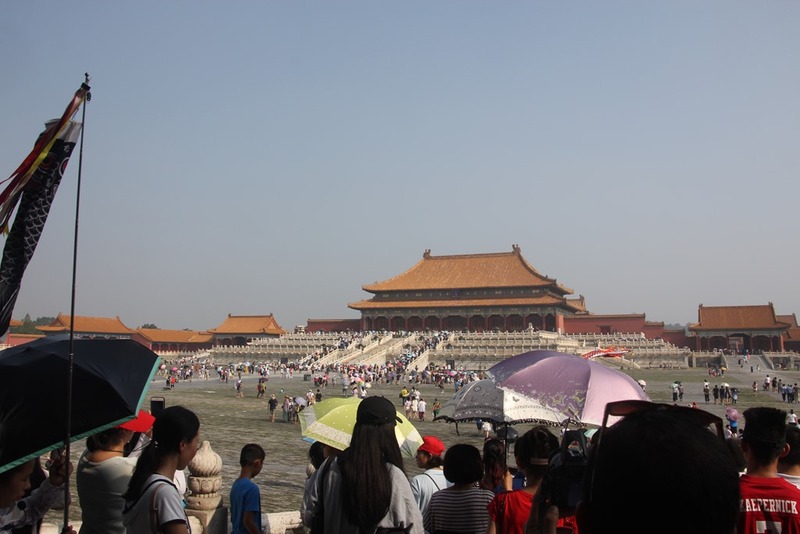 The forbidden palace was built in 1421 by the third Ming emperor of China. The palace served all the emperors since, until 1911. It has a complex symmetrical architectural structure that balances living space with its 9000 rooms and expansive outdoor area. 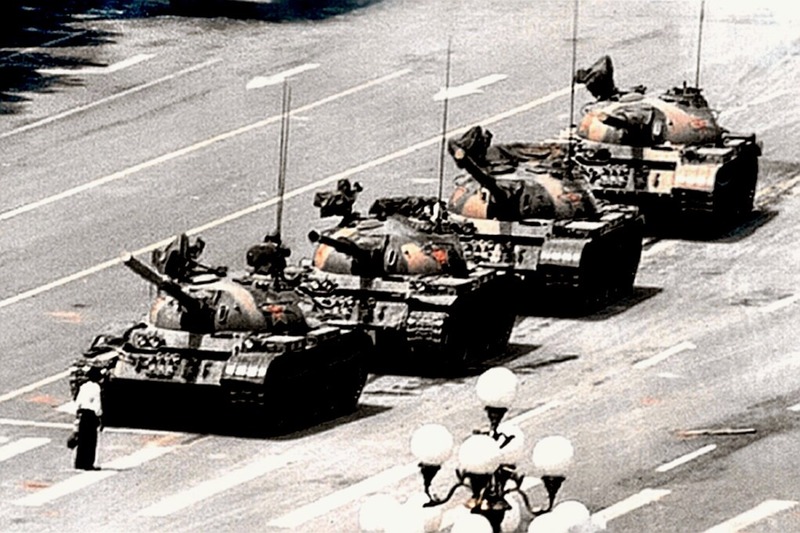 A visit to the forbidden palace starts with its entrance, at Tian’Amen Square, where, according to the Chinese Government, on June 4th 1989, nothing happened, thanks to China’s strict censorship of the image below. 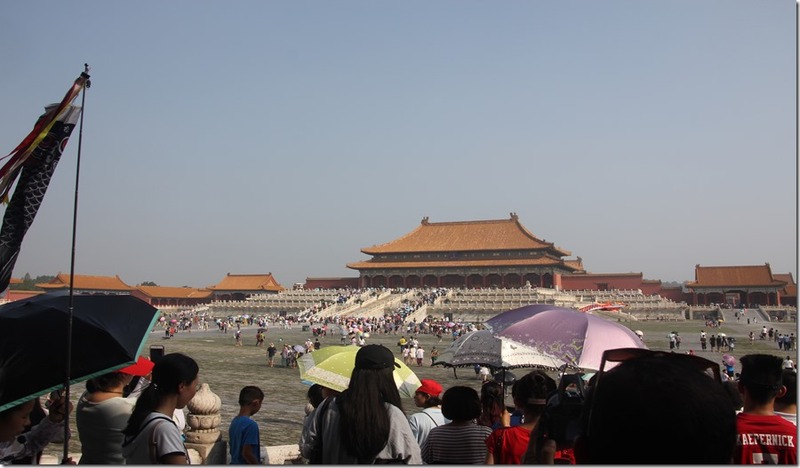 Walking past the majestic entry of the forbidden city, I immediately recalled Jackie Chan’s Movie “Shanghai Noon”. Although it has nothing to do with Shanghai! The movie starts with a cut scene of the imperial guards training in the court yard of the forbidden city. And there I stood, in front of that same courtyard, contemplating back at how life would have been for imperial guards living in that era. The palace is filled with pomp and superstitions. Yellow roofs indicates imperial majesty, and commoners at the time were forbidden to have their roofs in yellow, at risk of having their head chopped off. Similarly, the statures of the imperial court officials determined which entrance they used, where they stayed and how close to the emperor they were allowed to get. The number of animals on their roof ceiling were also indicative of rank, where a 9 signified the highest level, that of the emperor. 9 in Chinese also signifies everlasting or eternal as it sound like the word “Jui” which is Chinese for everlasting. 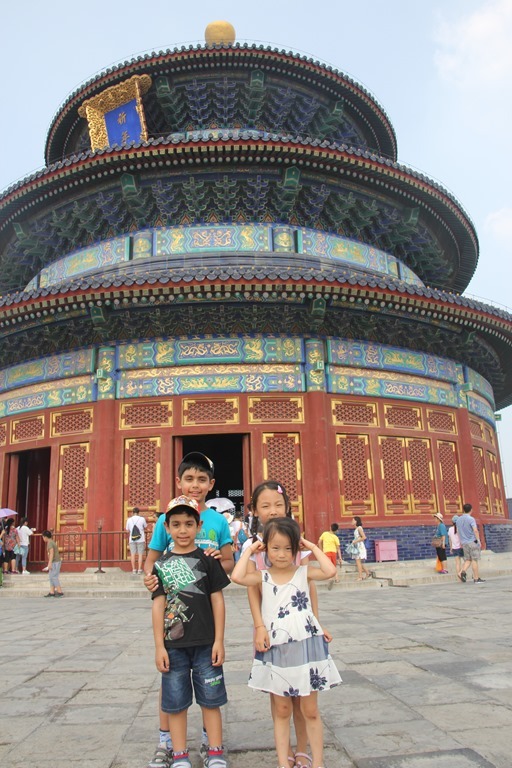 After a brief moment of respite from the uncompromising heat and humidity, we headed to the Temple of Heaven, where it is said that the emperor visited each year at the winter solstice to offer prayers to the heaven for good harvest. 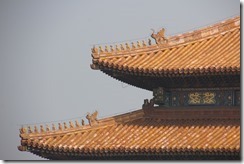 The temple was built to follow the Chinese belief that the heaven was round and the earth was square. The architecture definitely reflected that belief. Picture above are my kids making friends with the local kids, and behind, the impressive architecture of the temple. We then headed to the Summer Palace. The Summer Palace features a huge artificial lake that was hand dug, and a river diverted to fill it with water, so that the emperor could come relax. 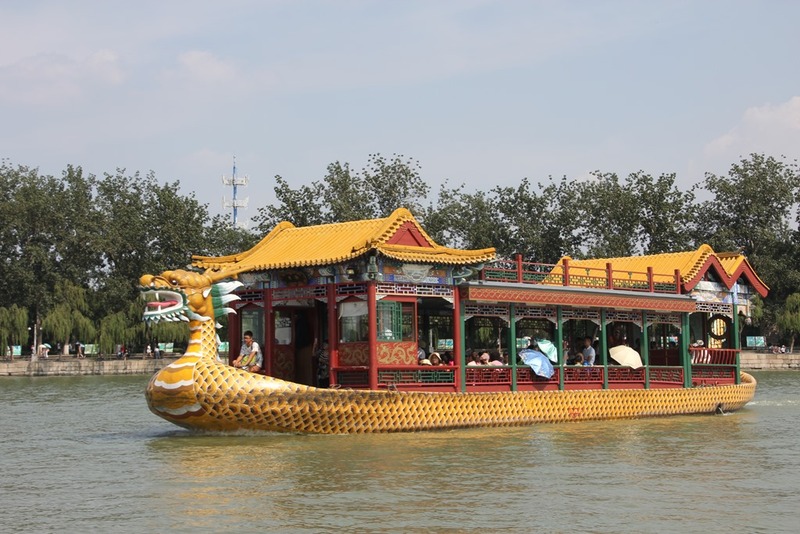 It was connected by an artificial canal to the forbidden palace, which allowed the emperor to take the half day trip by boat down to his Summer Palace. The place is surrounded by massive artificial hills, which was made as a result of the overflowing soil from digging the massive lake. 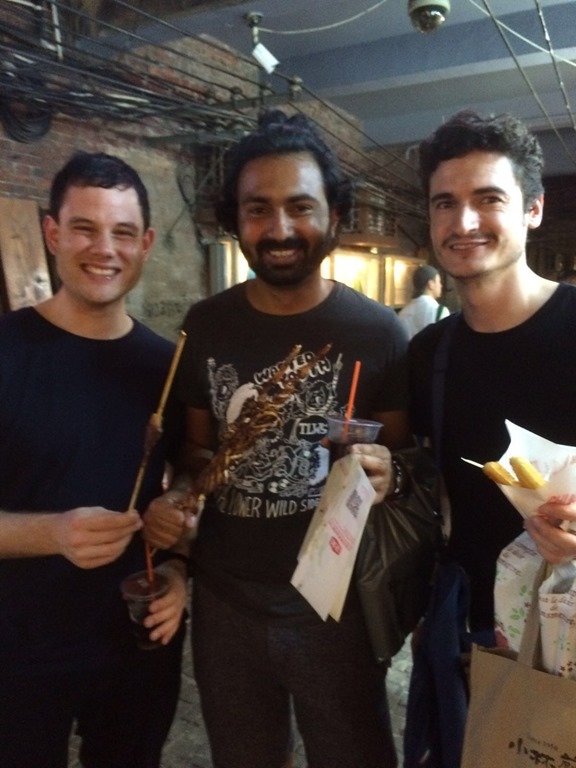 Experiencing the diversity that China had to offer, we decided to head to an Arab area for dinner. We thoroughly enjoyed the dinner, comprised of grilled Halal meats of all kinds, graced by lively Arabic music and belly dance – it definitely is not everyday that you see Asian girls belly dancing to the tune of Arabic music! 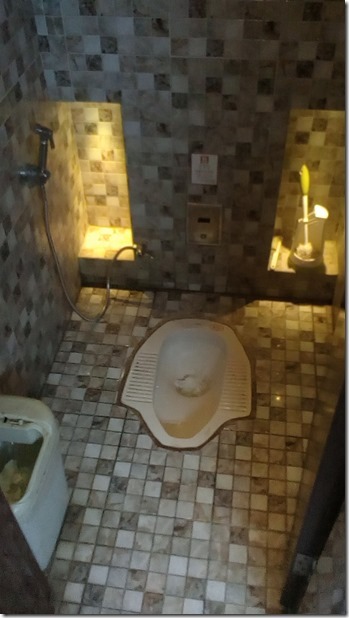 After spending a whole day talking about emperors and dragon lady, I walked into the toilet at the restaurant to the sight of a traditional squatting toilet. I almost walked straight back out, but, in a moment of thought, I decided to experience all things local, as it came. I closed the door behind me to sit on the throne that sat too low. 2nd of August, my Birthday. I woke up, feeling no older as I was before, and certainly still feel like I was still 26. The years have been kind to me . As has been the case, I turned off all my Facebook notifications, none to keen to receive all the attention and the endless notifications. That I lost my phone just the day before made it all that much easier, as I was also not reachable at all to the outside world – being off the grid on Whatsapp, and Facebook and Gmail not working, courtesy of the Great Firewall of China. The day began with a visit back to the Hongqiao Pearl Market. We went there two days ago, but missed out on any shopping as we arrived late. Not to miss out on the promises of a good bargain, we headed there that morning to see what was on offer. Silk items, toys, t-shirts and electronics of questionable quality were abound, and called for a keen eye to discern true from fake. Claims of genuine leather shoes suddenly became muted when I raised my voices that it was not leather, and accordingly prices dropped by a few hundred Yuan to compensate, but unfortunately finding shoes of size US11 was not an easy feat for the small feet of the Chinese consumer demanded more smaller sizes in stock than larger ones. 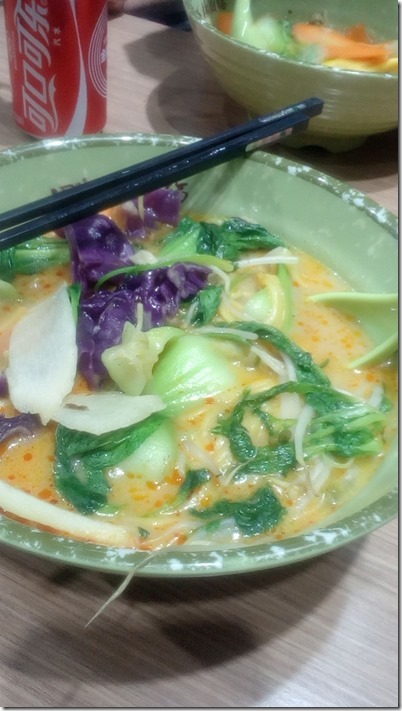 After some more local food for lunch at the trusty food court of Hongqiao, we went back to our hotel room to freshen up ahead of the Chinese Acrobat show at Chaoyang Theatre for which we got VIP tickets for. They started with an impressive line-up of famous people who watched their show, including Barrack Obama’s Daughter, and the former president of the Czech Republic among others. 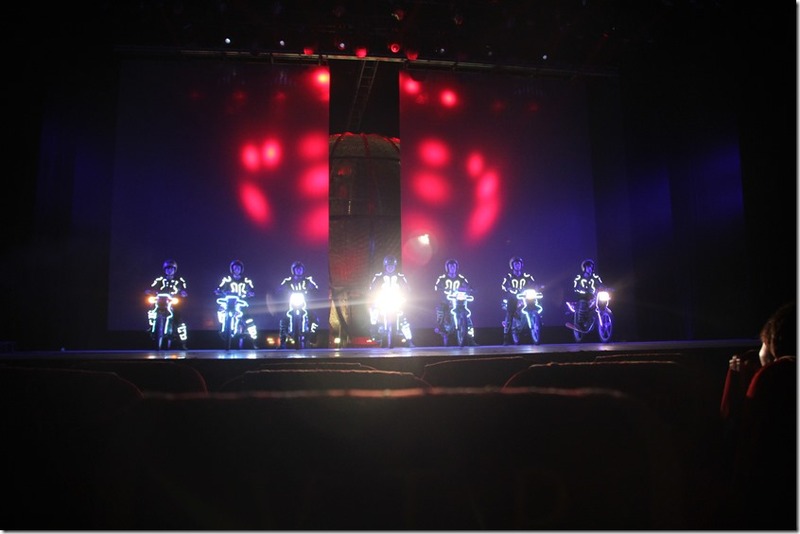 If I was allowed to describe the show in one word, it would be “gobsmacking”. It was still with adrenaline pumping in my veins that we left the Show to head to YaShow market to spend the rest of the evening and dinner. When we got back to the hotel, I was pleasantly surprised to find a handwritten Happy Birthday note as well as a cake for me, courtesy of the hotel! 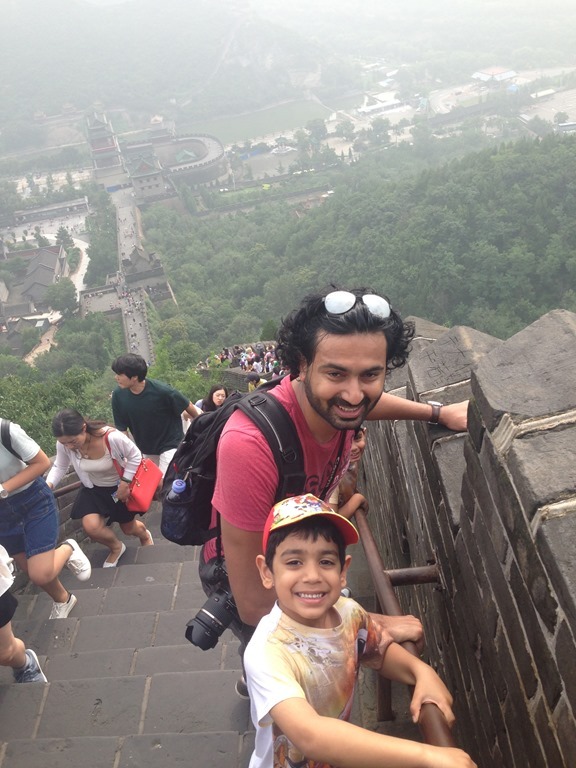 All fun aside, in line with Chairman Mao’s illustrious words: “Only if you have climbed the Great Wall will you become a real man.”, we set out to climb the Great wall at Badaling. 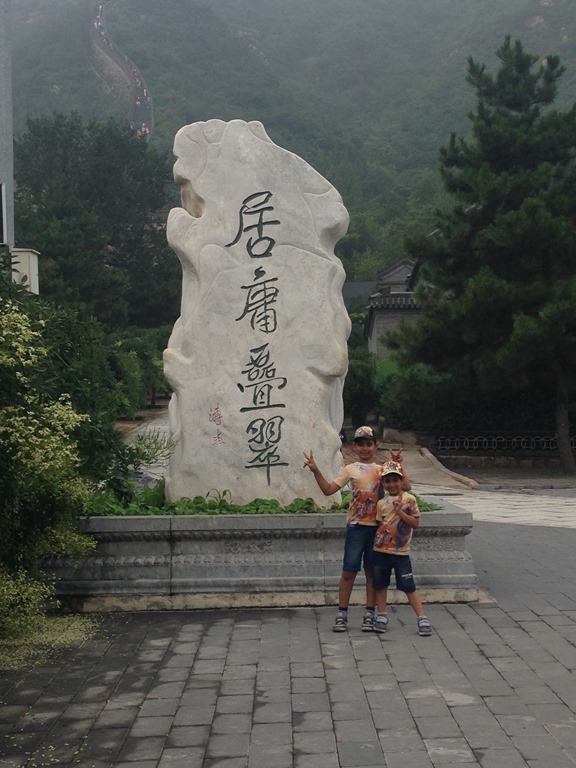 Badaling is not for the faint of heart. It does not have the fancy cable car to take you to the top. To be a real man, you climb the wall. Above is a picture at the halfway mark – giving a perspective on how arduous the climb was, especially for the two little mini-me. But with Chairman Mao’s words in mind, the two little ones soldiered on in the tremendous 32 degrees heat and humidity and bravely climbed the wall. After the wall climb, we visited a local Jade factory, and learnt how to make a real one from a fake. We also learnt the history of the Jade. According to our guide, a jade bracelet is passed on to the firstborn son in the family as it is believed that the Jade absorbs part of a person’s soul, and so wearing a family Jade is believed to give honour and remembrance to one’s ancestors. On our return to our hotel, we freshened up and went back to Silk Road market in the hope of having the fried noodles again for dinner, but it seems that this merchant decided to have an early mark home, and so we ended up trying something else! With much disappointment, I left my phone on the cab on the way back to our hotel, and with it all the photos that I took so far, as well as my means of communicating back to my friends and family. The hotel staff were very helpful and attempted their best to contact the cab company, with no success. I proceeded to cancel my service, as well as changed all my email and facebook passwords and the like. 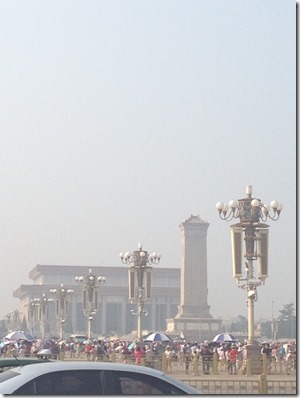 After a powernap from a late arrival in my hotel, I woke up to a bustling Beijing. What I initially mistook for fog, I quickly realised it was the pollution that everyone referred to. Not to be discouraged, I was eager to see what the city had to offer, and caught a cab to Silk Road Market, highly recommended by the good folks at reception where I stayed. Silk Road Market did not disappoint. 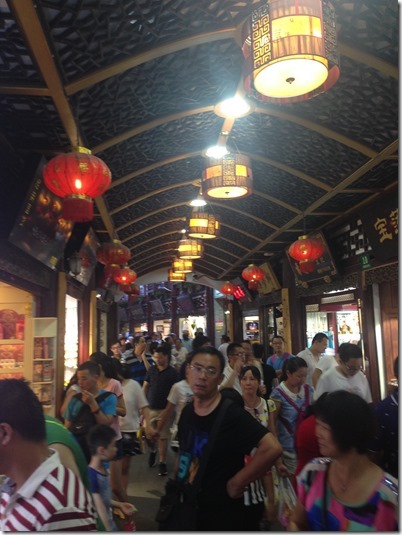 It was a maze of local shops, selling overpriced items to unsuspecting tourists. The name of the game was haggling. The famous “I Love Beijing” t-shirt abbreviated with “I BJ” is famous in the west, and I had to get my hands on of them.From an initial asking price of 800 yuan, I walked away paying 50 yuan for it, convinced that even then, I still probably overpaid! A trip to the local foodcourt was not dissimilar to the local asian foodcourts around China Town in Sydney, offering all sorts of Chinese food, but also to my surprise, there was even Indian food on offer, shop held by a legit Indian bloke who migrated to China from Indian, in search of good fortune. None of the shops looked particularly clean, but not to be outdone by the locals, I was determined to give the local food a shot. 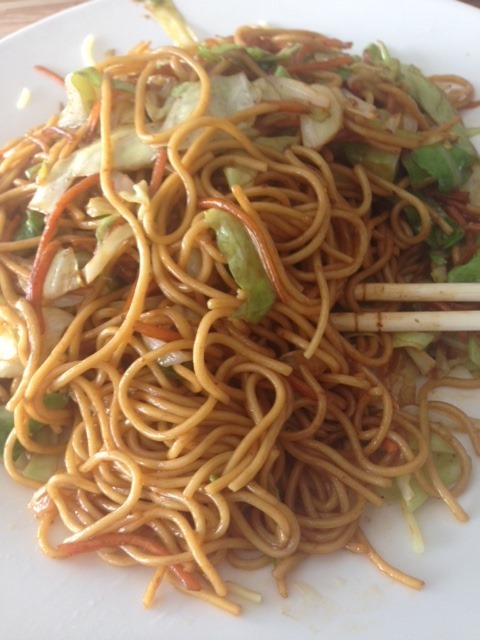 The vegetarian fried noodles certainly did not disappoint, and by far one of the best I have had for years. The hunger taken care of, I was keen to see what else was on offer, so a quick taxi trip over to Ya Show Market, I was left standing in front of a massive international shopping centre, with all sorts of international brands on offer, such as Uniqlo, Zara, Puma, H&M and the like. We found a local french cafe to freshen up, and the headed over to Hongqiao Pearl Market. It was nearly 7 pm when we arrived at Hongqiao, and as they closed at 7pm, I decided to call it a day, and come back another day for what it had to offer. As I slide back in the lounge at my hotel, sipping a warm cup of tea and watching the local news in Chinese on CCTV, I contemplated at how impressive the Chinese were at imitating goods and items, and to such quality that often it was indiscernible to the real one. Flight QF83 to China left Sydney without delays. Myself, the missues and 2 kids boarded an 8 hour flight to Hong Kong, from where we changed plane onto Beijing. Satwick was nowhere to be found. Satwick is a bubbly guy I am doing my MBA with, and he was supposed to be on my plane today. A few phone calls and messages led to no replies. The trip from home to the airport was jam packed this morning, as is always the case on Saturdays. I know this because of a few early morning weekend trips I made to the city for classes for my MBA. With that information, I left home early that morning, and I suspect that Satwick bore the grunt of this traffic, and possibly missed the flight as a result. 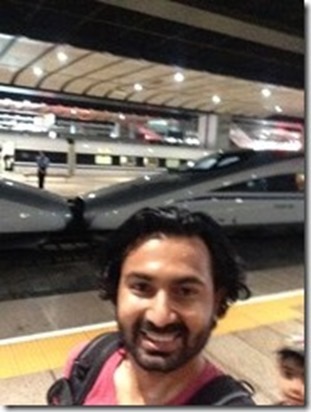 The trip itself was very turbulent, and it was with joy that I landed on solid ground in Hong Kong. First order of business was to find out about my connecting flight via Dragon Air, a cheap airline, as as expected, the flight was announced to be 1 hour behind schedule. Works for me, as I was starving – and a trip to the airport food court was refreshing. The unfortunate news once we boarded the plane was that the flight would not be leaving on the expected time, as we had missed our window to taxi to the runway due to the initial delay, and the airline announced a further delay of 3 hours. A call was made to keep all the passengers in the cabin for the 3 hours, and start dinner service, in the hope that a window clear, and we may have a chance to depart earlier. Lady luck was not on our side this say, and 3 hours later, a total of 4 hours from original time, we departed to Beijing! Landing in Beijing at 12:30am, and getting on a cab at almost 1:30am, we had the unique chance to see Beijing at night, with near empty roads. The fog was ever present, as previously warned. And yet, the city looked calming, like a beast that was resting after a long day of hunting. The story of the beast, I suspect, will unfold over the coming month.